PCRC members, dummer Kran Singh and guitarist Karthik Pillai, teamed up with bassist Kshitij Dhyani about an year ago to experiment with their own brand of indie rock. Coined, Begum, the trio claim to derive heavy influences from dream pop and Indian 11th century sounds with a progressive indie rock outlook, creating some of the freshest grooves in the Indian independent scene at the moment. This is how Begum describe themselves: “Two smugglers, Kshitij and Kartik, were caught illegally transporting guitar riffs across the border. During interrogation they conceded their guilt and were summoned to deliver their sweets/bribe in the court of the Begum. While presenting their bounty to the all knowing Begum they accidentally hit a set of sacred occult notes. One of the Begum's guards, Karan ran to stop them and before anyone could notice, they were transported to an alternate universe. 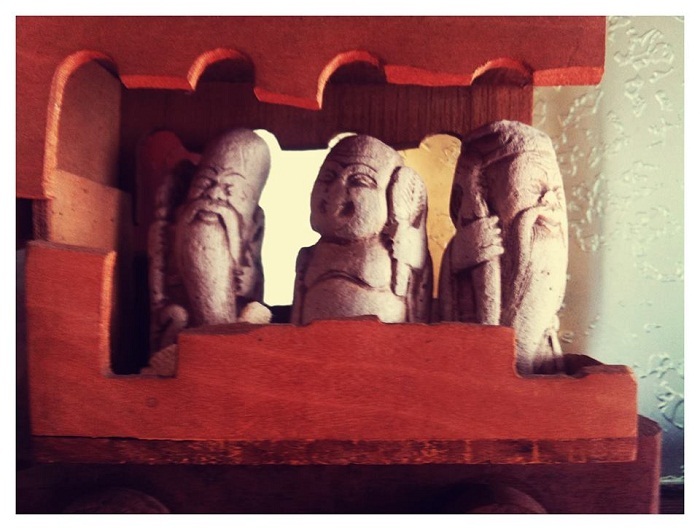 Now the three men have joined forces to jam till they find the correct set of notes to go back home." With the band’s debut album, Bagh, released late last year, Begum have creeped their way into the music scenes forefront emerging as some of the most innovative musicians in the scene. They’ve secured a soft spot in the music community with their quirky persona and out of the box musical influences; with 2014 witnessing the band rock out amazing sets at some of the biggest festivals across the country including The New Wave Music Fest, Magnetic Fields, and more. Mumbai-based singer/songwriter Arjun Iyer is a recognizable name from anyone one of the few different musical projects that feather his cap. From the electro pop duo Gumbal, to the electro-acoustic guitar centered Eatshootleave, and his most recent solo project Barty’s Path, Arjun Iyer has a distinct and intriguing ear for melodies and rhythm. One might remember Gumbal’s groovy electro acoustic tunes from their 2014 debut EP, A For, featuring Arjun Iyer and original Eatshootleave bassist Satish Sridhar getting together to create some experimental alternative rock melodies. Arjun’s appearance as one of the best emerging artists in the last year should come as no surprise considering the fresh perspective he brings to the singer/songwriter domain, and his solo project Barty’s Path exploring a larger ensemble to his mystifying guitar melodies. 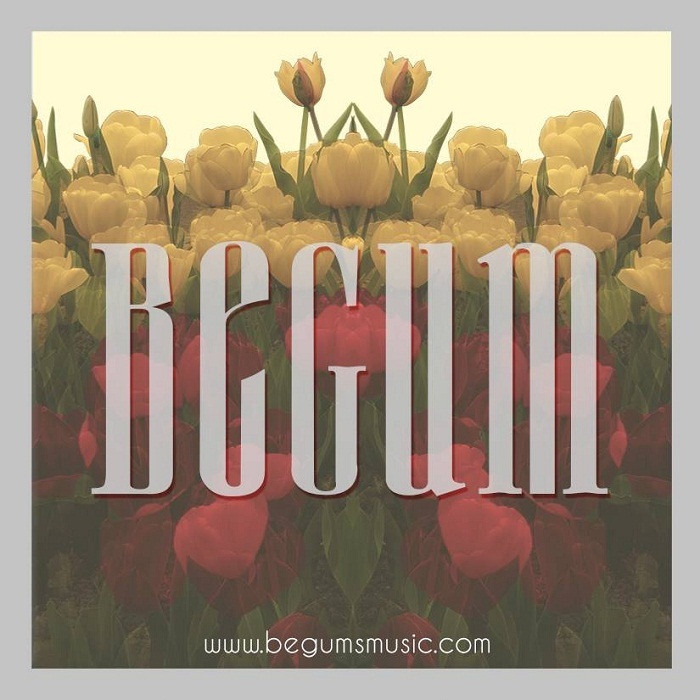 Gumbal recently also announced the release of their second studio project – in the works for the past year – due to be released sometime later in 2015, and released the first single off of the record, Mens Rea. While the last time we spoke to Arjun, he was still contemplating on the logistical viability of taking Barty’s Path’s orchestral ambitions on stage, its fairly evident that Arjun will have a lot more interesting music coming out soon. It was During early 2014, that psychedelic/alternative rock band The Bicycle Days’ frontman Karthik Basker announced the band’s disbandment, and his venturing towads solo pursuits – which included his collaboration with electronica artist Faheemul Hasan known for his Ambient Psychedelic/Glitch solo project, Avilente. The collaboration, called Klypp, initially popped up on the circuit as early as 2013, before going out on a short beak. 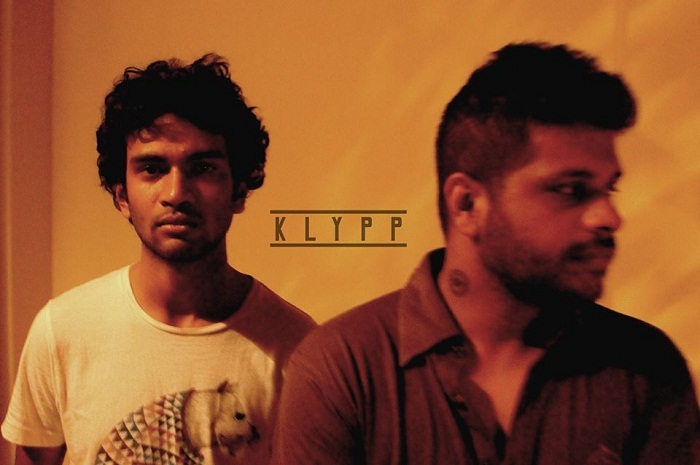 In April 2014, Klypp resurfaced with their debut EP, Manifest, intertwining Karthik’s malleable vocals with synth psychadelia and lo-fi electronica, creating a surge within the electronic music community. Only a few months after the online release of the EP and investing energies into pulling off a live set, Klypp rocked out sets at the Covelong Point Surf Festival in Kovalamand, their first gig in Mumbai alongside electronica artist Your Chin a.k.a. Raxit Tewari, and at the NH7 Weekender in Bangalore, etching memories of splendid performances for audiences across the Indian electronic music landscape. The Down Troddence from Kannur in Kerala, were a fairly easy pick for this list with a more than spectacular year for the band in 2014. The groove folk metal outfit blends an amazing mix of traditional and folk nuances, set on rugged new age heavy groove metal outsets. The Down Troddence released their debut album titled – interestingly enough – How are you? We are fine Thank You during early 2014, turning heads across the indian metal community and earning almost immediate stardom. The music infers influences ranging from post rock, ambient rock, folk music, with good old thrash and groove metal; counting bands like Avial, Scribe, AC/DC, Opeth, Rush, Pink Floyd, as some of their strongest influences. 2014 happened to be pretty eventful year for the band with the highlight perhaps being, the band winning and earning nominations for a majority of the titles at the Rolling Stone Metal Awards; laying down the law, so to speak. Although, the band was first formed in 2009 playing whatever gigs that came there way, last year was especially considerate to the band breaking down stages including The Great Indian October Fest, Bangalore Open Air, Wacken Metal Battle India Finale, NH7 Weekender, the RSJ Inferno Metal Festival in India, and many more, proving that The Down Troddence are one of the most promising metal acts to have come out of the Indian circuit from the recent past. The Pune-based death thrash metal band first started making waves with their late 2013 debut EP release, Desecration, making noise both in the Indian metal circuit and international. Comprised of Prakhar Soni (vocals, bass), Chinmay Bokil (guitars), Subhrajyoti Sarkar (guitars) and Arjun Menon (drums), Halahkuh create a facemelting blend of thrash with vocal and melodic influences from death metal. Following the release of the debut, Halhakuh went on to dominate numerous metal festivals in the country across 2014, featuring performances at the Inferno Metal Festival in India, winning the Pepsi MTV Indies Band hunt to play at BIG69, the Wacken Open Air Metal Battle, and many more, playing alongside bands like, Norway’s Obliteration, UK-based Hacktivist, and Sikth. 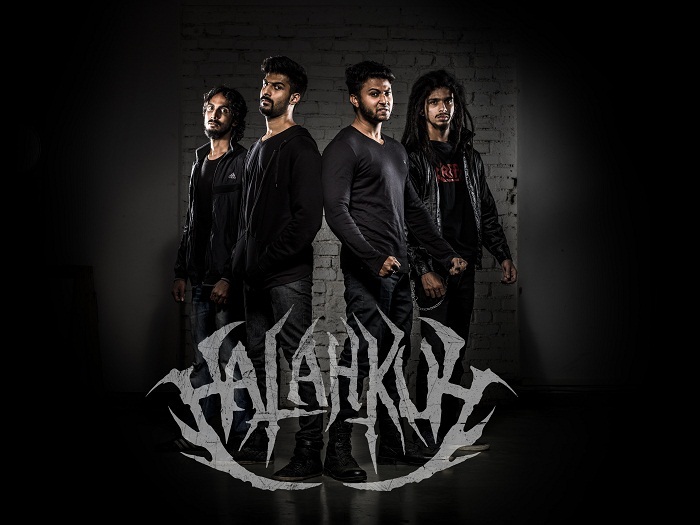 In April 2014 Halahkuh were signed by record label Transcending Obscurity, joining the ranks of Indian metal juggernauts like Devoid, Gutslit, Cosmic Infusion, Albatross. 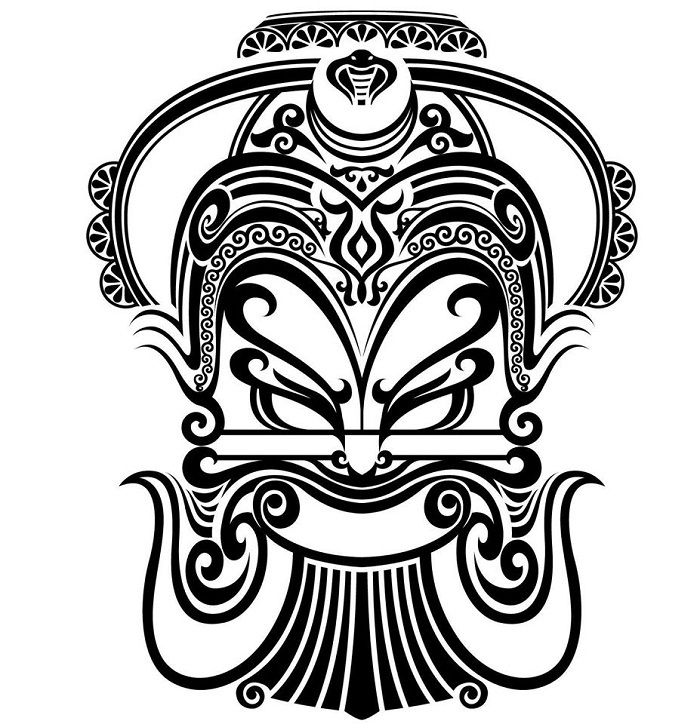 Borrowing the band’s name from Gengis Khan’s bloodline, Halahkuh, are on a menacing rise within the metal circuit. Tell us how you feel about the list with your comments; do you like it? Hate it? What artists do you feel should have been on the list?